I wrote the following review two years ago and decided to repost, since the movie is coming out tomorrow. And surprisingly, my thoughts and opinions are still pretty much the same. Before you read the review, know this right off the top: I do not think these books are appropriate for tweens or young teens. As an adult, I found the books thought-provoking but they’re definitely not for everybody. Katniss is a 16-year-old girl living with her mother and younger sister in the poorest district of Panem, the remains of what used be the United States. Long ago the districts waged war on the Capitol and were defeated. As part of the surrender terms, each district agreed to send one boy and one girl to appear in an annual televised event called, “The Hunger Games.” The terrain, rules, and level of audience participation may change but one thing is constant: kill or be killed. When Kat’s sister is chosen by lottery, Kat steps up to go in her place. I liked this series. Yes, it’s brutal in places, disturbing. I don’t want to minimize this. By comparison, the violence is on the same level as found in the later Harry Potter books, but there are fewer benevolent adults around to help the kids. Also, the “bad guys” in Hunger Games are often trusted adults, not people who’ve been twisted by evil to the point that they are almost a caricature. I definitely would have had my children wait until they were mature enough to read it. I don’t think anyone under the age of 14 has any business reading these books, and for most teens, I’d say sixteen (or older). Readers who are sensitive to violence might never want to read it. (In fact, one of my adult children probably shouldn’t ever read it). Given that, here’s why I liked The Hunger Games series. 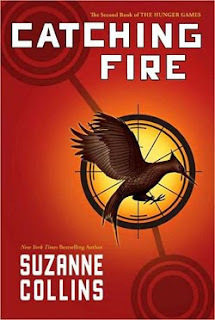 First, Suzanne Collins has done a superb job with the mechanics of writing in this series. There are a few little plot holes, but they didn’t bother me. The writing is beautiful, eloquent, poignant—laugh out loud funny in places, tear-jerking in others. The suspense keeps you going. There are a few predictable places, but other places where she totally surprised me. 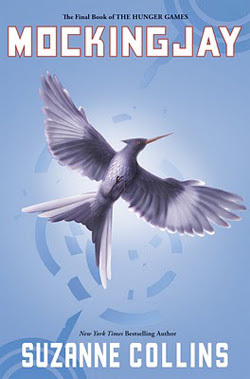 A few places were slightly unbelievable—would adults really place so much trust in a teenager they couldn’t control (Mockingjay)? But then on the other hand, it made sense when the teen is seen as little more than a pawn in a game. The characters are so clear, so real—and not just the love triangle of Katniss, Peeta and Gale. (I was happy with Kat’s choice). 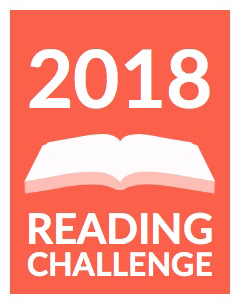 Secondary and minor characters were also so well drawn and real that I could picture them in my mind—Rue, Prim, Haymitch, Cinna and the prep team, Greasy Sae, and so many more. They’re going to be floating around in my brain for a long time. The biggest impact of this trilogy is how it made me feel and what it made me think. Even though I finished the series at 3:00 a.m. and was dog tired, it took me over an hour to fall asleep because I kept thinking about the messages in the books—and I think that’s why the series is so popular, despite the level of violence. We can all relate to one or more of the messages in this book. For me, it came down to three very powerful messages. First: Life is unfair. Live it anyway. 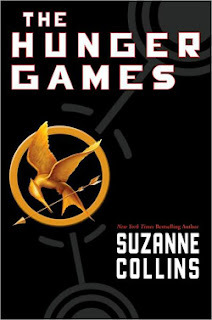 Katniss and the other teens are trapped in an unfair “game” where they are forced to fight for their lives. Don’t we all feel that way at some time or another? Teens are trapped in school, adults trapped in their jobs. Maybe we’re trapped with health or financial issues—whether of our own making or completely out of our control. Life itself often seems like an unfair game—and we won’t make it out alive. We form alliances the best we can, and it breaks our hearts when we’re betrayed. Katniss is used and betrayed over and over again. The heartbreak sometimes sends her to her bed. But she gets up again. And again. Her strength in the face of adversity is inspiring. Second: Hold tight to the people you can trust. Katniss and Peeta and their team play a game called “Real or Not Real.” Not going to tell you why, but at a certain point memories become mixed up and it’s difficult to tell which are real and which or not. So they ask each other—they verify with the people they trust. This is a HUGE thing with teens, and with adults. Does this boy like me? Does my friend really have my back? Am I a good writer or lame? (Okay, that one was a little personalized, but you get the idea.) This game is a good reminder that we can’t always take things at face value. What we believe to be true may or may not be so. Third: Some things are worth dying for. There are things in this life that are worth dying for—our family, freedom, truth. This rings such a bell in our current political state right now. It’s not just about what’s immediate or easy. Where tyranny and injustice exist, it’s important that those who are able to do so choose to stand up and fight for freedom and truth. We protect the weak; we support the right. Good article! These are powerful messages. I loved the first two books in the series and was very disappointed in the third. Whereas the first two were very focused, the third was all over the place. But the thing that got me was how unsatisfactory the ending was. As traumatized as we were, I (and so many other people I’ve talked to) needed more. When I heard Collins had already begun the screenplay for the Hunger Games movies when she was finishing this book, it made sense why the book felt like she just wanted to be done with it.